On March 15, 1820, Maine became the twenty-third state in the Union. Originally a province of Massachusetts, Maine is noted for its picturesque coastline and dense woodlands. Even today, ninety percent of Maine remains forested. The State of Maine is a state in the New England region of the northeastern United States of America, bordering the Atlantic Ocean to the southeast, New Hampshire to the southwest, and the Canadian provinces of Quebec to the northwest and New Brunswick to the northeast. Maine is the northernmost portion of New England and is the easternmost state in the contiguous United States. It is known for its scenery — its jagged, mostly rocky coastline, its low, rolling mountains, and its heavily forested interior — as well as for its seafood cuisine, especially lobsters and clams. The original inhabitants of the territory that is now Maine were Algonquian-speaking peoples. The first European settlement in Maine was in 1604 by a French party. 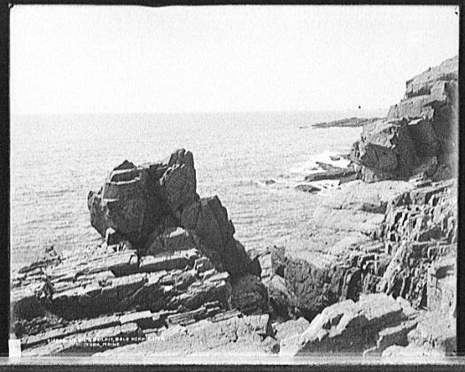 The first English settlement in Maine, the short-lived Popham Colony, was established by the Plymouth Company in 1607. A number of English settlements were established along the coast of Maine in the 1620s, although the rugged climate, deprivations, and Indian attacks wiped out many of them over the years. As Maine entered the 18th century, only a half dozen settlements still survived. American and British forces contended for Maine's territory during the American Revolution and the War of 1812. 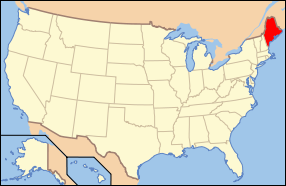 Maine was an exclave of Massachusetts until 1820, when as a result of the growing population, it became the 23rd state on March 15 under the Missouri Compromise.